This is the last of my articles on the GDPR for the time being. I have decided to discuss fines because it is one of the topics that has received most publicity recently. The prospect of eye-watering fines has been used by some to raise awareness of data protection and to encourage good practices which must be good but it has also been used more cynically to boost sales of systems and services that may or may not be needed which is not so good. (c) subsection (2) or (3) applies." S.55A (2) applies if the contravention was deliberate and s.55A (3) if the data controller knew or ought to have known that there was a risk that the contravention would occur, and that such a contravention would be of a kind likely to cause substantial damage or substantial distress, but failed to take reasonable steps to prevent the contravention. S.55A (5) limits the amount of the monetary penalty to "the prescribed amount" which is set at £500,000 by reg 2 of The Data Protection (Monetary Penalties) (Maximum Penalty and Notices) Regulations 2010 (SI 2010 No 31). The Commissioner has given some guidance about the issue of monetary penalties prepared and issued under section 55C (1) of the Data Protection Act 1998. The Information Commissioner will continue to have the power to impose fines under art 58 (2) (i) of the GDPR in accordance with guidelines to be drawn up by the European Data Protection Board (a body consisting of representatives of the EU and national data protection supervising authorities) pursuant to art 70 (1) (k). "In order to strengthen the enforcement of the rules of this Regulation, penalties including administrative fines should be imposed for any infringement of this Regulation, in addition to, or instead of appropriate measures imposed by the supervisory authority pursuant to this Regulation. In a case of a minor infringement or if the fine likely to be imposed would constitute a disproportionate burden to a natural person, a reprimand may be issued instead of a fine. Due regard should however be given to the nature, gravity and duration of the infringement, the intentional character of the infringement, actions taken to mitigate the damage suffered, degree of responsibility or any relevant previous infringements, the manner in which the infringement became known to the supervisory authority, compliance with measures ordered against the controller or processor, adherence to a code of conduct and any other aggravating or mitigating factor. The imposition of penalties including administrative fines should be subject to appropriate procedural safeguards in accordance with the general principles of Union law and the Charter, including effective judicial protection and due process." "In order to strengthen and harmonise administrative penalties for infringements of this Regulation, each supervisory authority should have the power to impose administrative fines. 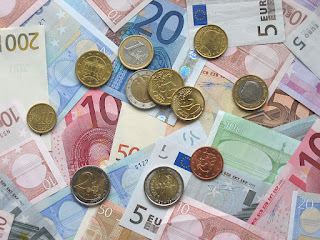 This Regulation should indicate infringements and the upper limit and criteria for setting the related administrative fines, which should be determined by the competent supervisory authority in each individual case, taking into account all relevant circumstances of the specific situation, with due regard in particular to the nature, gravity and duration of the infringement and of its consequences and the measures taken to ensure compliance with the obligations under this Regulation and to prevent or mitigate the consequences of the infringement. Where administrative fines are imposed on an undertaking, an undertaking should be understood to be an undertaking in accordance with Articles 101 and 102 TFEU for those purposes. Where administrative fines are imposed on persons that are not an undertaking, the supervisory authority should take account of the general level of income in the Member State as well as the economic situation of the person in considering the appropriate amount of the fine. The consistency mechanism may also be used to promote a consistent application of administrative fines. It should be for the Member States to determine whether and to which extent public authorities should be subject to administrative fines. Imposing an administrative fine or giving a warning does not affect the application of other powers of the supervisory authorities or of other penalties under this Regulation." The representatives of the national data protection supervising authorities who will constitute the European Data Protection Board after 25 May 2018 adopted Guidelines on the application and setting of administrative fines for the purposes of the Regulation 2016/679 on 3 Oct 2017 which can be downloaded from What's New section of the Information Commissioner's website. (k) any other aggravating or mitigating factor applicable to the circumstances of the case, such as financial benefits gained, or losses avoided, directly or indirectly, from the infringement." Should anyone wish to discuss this article, fines, the GDPR or data protection generally he or she should call me on 020 7404 5252 or send me a message through my contact form.